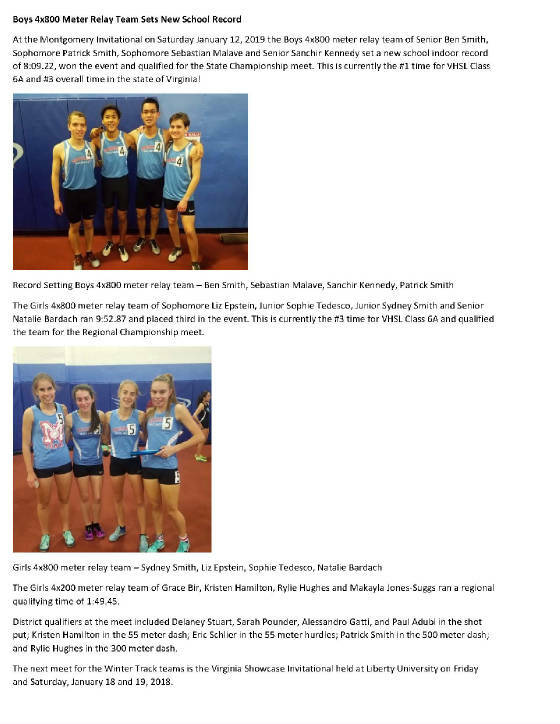 Winter Track Sets Four School Records at Regional Championships! 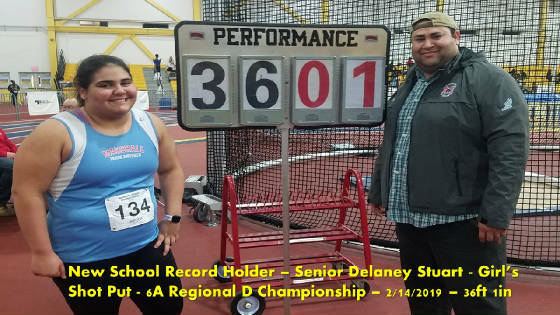 Delaney Stuart tied her own school shot put record with a throw of 36ft 1in. 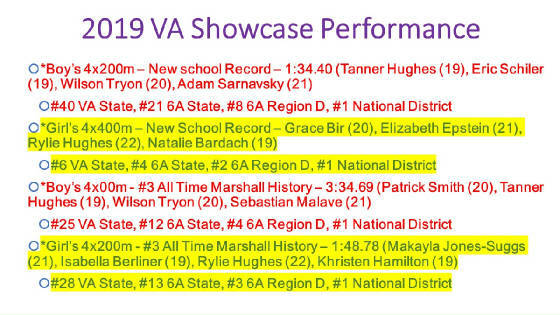 Good Luck to the following athletes advancing to the State Championship meet to be held Friday and Saturday, February 22 and 23, 2019. 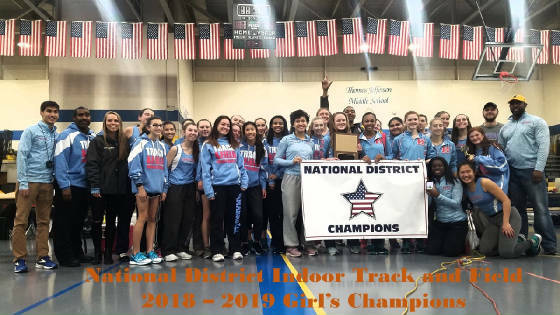 For the first time in Marshall High School history, both the Girl's and Boy's teams won the National District Team titles in the same season. The teams are headed to the Regional Championships to be held Monday and Wednesday, February 11th and 13th. Good luck to all advancing to the 6A Northern Region D championship. 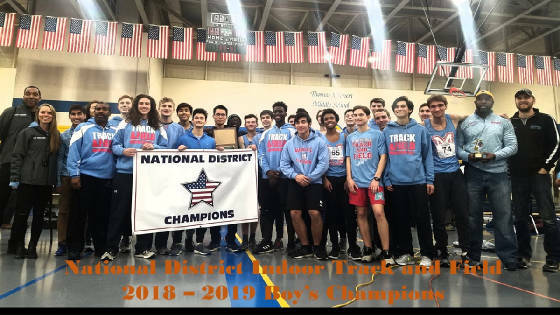 This past weekend the Winter Track team traveled to Lynchburg, VAto participate in the highly competitive VA Showcase meet. At the meet two new school records were set and many Marshall Athletes met the qualifying standards for the championship meets. 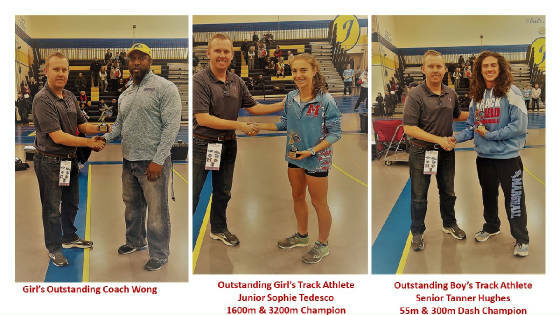 The two new school records were set by the Boys 4x200 meter relay and the Girls 4x400 meter relay. The record set by Boys 4x200 meter relay team was 1:34.40 and was run by Tanner Hughes (19), Eric Schlier (19), Wilson Tryon (20), andAdam Sarnovsky (21). This time currently ranks as #1 for the National District and qualifies for the Regional Championship meet. 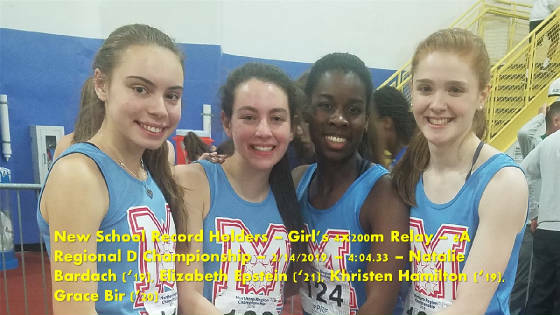 The record set by the Girls 4x400 meter relay team was 4:07.86 and was run by Grace Bir (20), Elizabeth Epstein (21), Rylie Hughes (22) andNatalie Bardach (19). 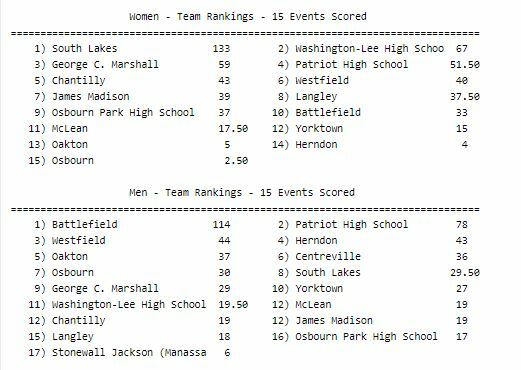 This time currently ranks as the sixth fastest time in the state of Virginia and qualifies for the Regional Championship meet. 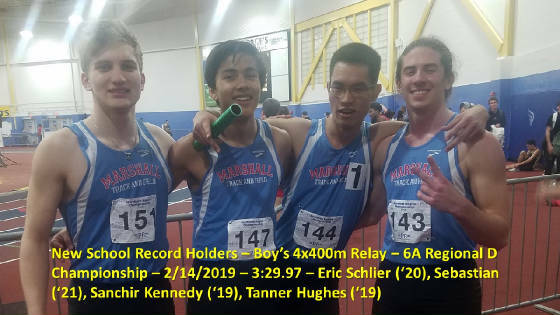 The Boys 4x400 meter relay team of Patrick Smith (20), Tanner Hughes (19), Wilson Tryon (20), and Sebastian Malave (21) ran 3:34.69 which is the third fastest time for this event in Marshall School history and qualifies for the Regional Championship meet. 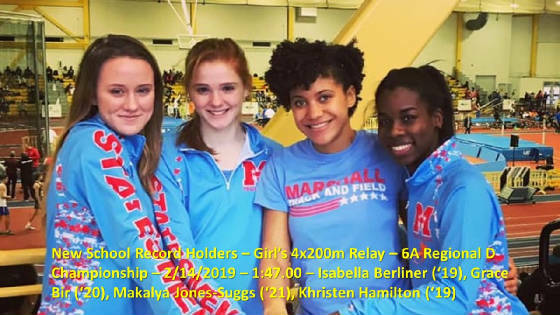 The Girls 4x200 meter relay team of Makayla Jones-Suggs (21), Isabella Berliner (19), Rylie Hughes (22), and Khristen Hamilton (19) ran 1:48.78 which is the third fastest time for this event in Marshall School history and qualifies for the Regional Championship meet. This week the Winter Track team will complete the regular season with two quad meets. The first will be held on Wednesday January 23rd at Edison High School and the second will be held on Friday January 25th at the Thomas Jefferson Middle School in Arlington. At the FIT Invitational there were two event winners, both in the 1600 meter run. Junior Sophie Tedesco took first place in the Girls event and qualified for the District Championship meet and Senior Ben Smith took first place in the Boys event and qualified for the State Championship meet. 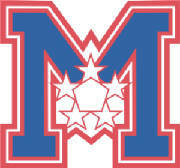 Additional top performers by Marshall Athletes were Nicola Becker District Qualifier in the High Jump; Serena Agnew District Qualifier in the Triple Jump; Stuart Delaney District Qualifier in the Shot Put; Avery Tarutani in the 55 meter hurdles; Eric Schlier District Qualifier in the 55 meter hurdles; Khristen Hamilton and Tanner Hughes District Qualifiers in the 55 meter dash; Nina Orozco and Sebastian Malave District Qualifiers in the 500 meter dash; Sydney Smith andWill Blackwell District Qualifiers in the 1000 meter run; Grace Bir Regional Qualifier in the 300 meter dash; and Adam Sarnovsky in the300 meter dash. 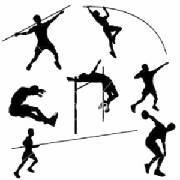 The next meet for the Winter Track Team is the Montgomery Invitational on Saturday, January 12, 2018 at the Prince George's County Sports Complex in Landover, Maryland.